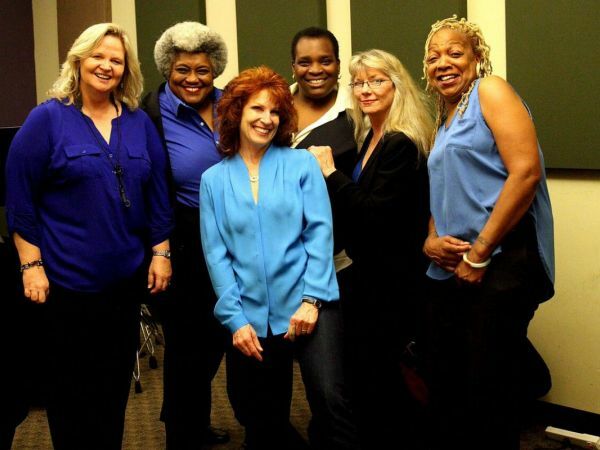 Pamela Rose has had a long career as a singer and band leader in the San Francisco Bay Area. But this year she is producing a special show at a local theater that takes her musical productions to a new level. 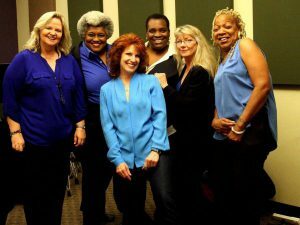 Titled Blues Is a Woman, the production at Custom Made Theater (August 3-27) celebrates the historical and contemporary contributions of women in a particular corner of the musical landscape that features many male artists who have garnered great fame around the world. For the women in the genre, it has often been a long tough road to limited success and opportunities. Yet, as this show demonstrates, a series of amazing and often forgotten women were playing the music all along, at times to acclaim and popular notice. This may be the first dramatic presentation honoring many of them who certainly deserve celebration and remembrance. The show also gives Rose a dramatic framework to feature some of the Bay Area’s most talented and charismatic women musicians playing live, and brings them together in a way that not only features their musical chops, but allows them to participate in a moving and fascinating dramatic production of courage and determination. It’s about time. For starters, this is not just a “blues” show, an element of popular music that became a part of both jazz and rock. It is a show about women and their struggle to join the entertainment band wagon that exploded with the invention of the phonograph, the radio, and the electric microphone and sound system. Women did have a great opportunity to shine during WW II when a massive group of men disappeared for a few years. They not only worked in the shipyards and factories as part of the war effort, they jumped to the chance to perform in bars, night clubs, and concert halls. While this period was short lived, it established the fact that women were not just great singers, but could lead orchestras and play music at the highest levels. It was in previous decades that “blues shouters” arrived to become stars in their own right. 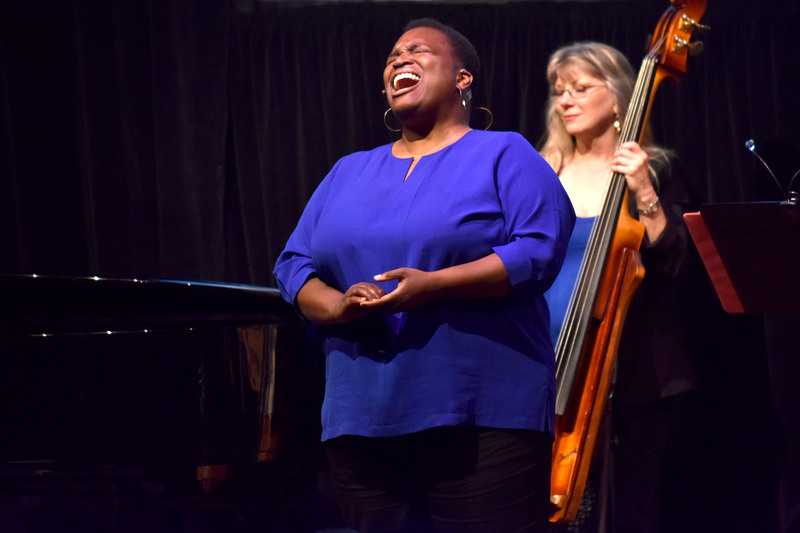 On top of this, it was American composers, especially George Gershwin and Harold Arlen, who pushed the blues sound into their songs, setting the stage for great performers like Ethel Waters and Billie Holiday to give the music a dignity and sophistication that brought even more notice. Thus, a show like this one is long overdue. We saw an early version at the performance space Freight and Salvage in Berkeley on March 30th where a sold-out audience responded with riveting attention and a standing ovation. The show is full of jazz touches. Rose’s band features the fabulous Tammy Hall on piano and vocals, truly one of the great San Francisco jazz and blues players; the steady and exciting Ruth Davies on bass, who specializes in every kind of music and reminds us of Ray Brown; thrilling Kristen Strom on tenor sax and woodwinds, who is deeply influenced by Gene Ammons and other great blues and jazz horn performers; rocking Daria Johnson on drums, playing with the funk, jazz and bop licks; and Shaunna Hall on guitar (she was not in the Freight show). These women and Pamela herself have a charisma and verve that highlights every moment of the production we witnessed. A wonderful collection of video and still media plays throughout and helps to tie together all the historical strands of the music. 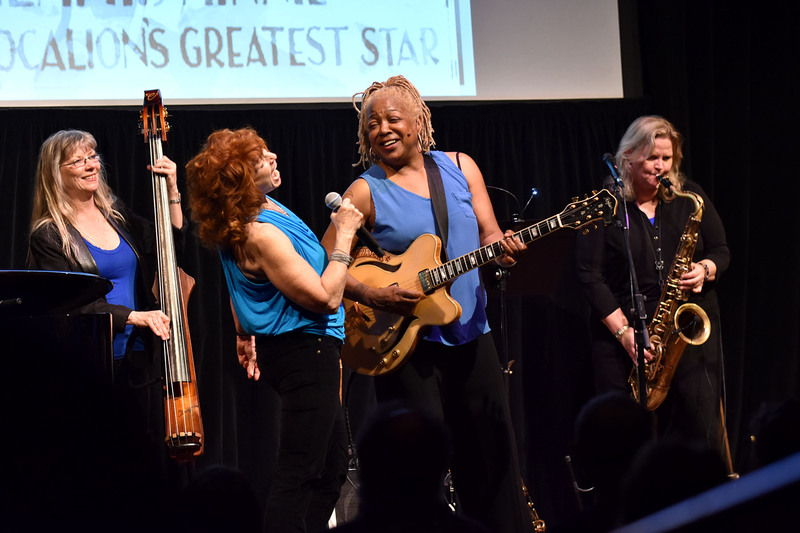 The production also shows how blues playing by women expanded the book of how these women were perceived and appreciated. Blues music would go on to inspire Charlie Parker and Thelonious Monk and many others who used the style to great effect, both in improvisations and their own compositions. And, of course, the blues influence on rock and roll is well known, and even includes John Hammond, Jr., whose father was one of the most important jazz producers in the history of the music. Months of effort has gone into preparing for the production at the Custom Made Theater at 533 Sutter Street near Union Square in San Francisco. We look forward to the opportunity to see the final production. Watch for my review here. This show is not to be missed. This production could be the musical party of the year.